Thoughts of the holiday season and cooler weather have been on our mind a lot lately. 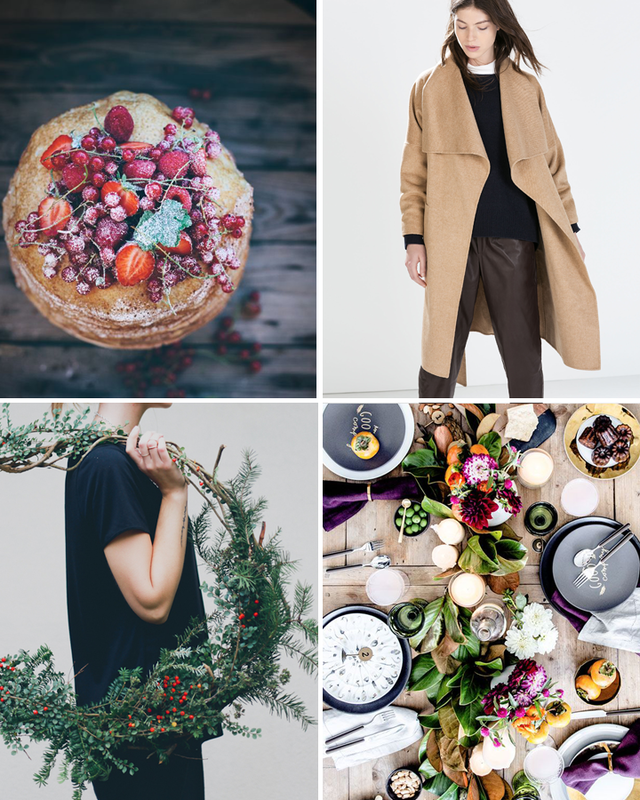 Comfort food, wool coats, lovely wreaths, and beautiful holiday tablescapes are just some of the many things that have caught our eye on Pinterest. This is our favorite time of the year and our creative minds are working on overdrive! What's inspiring you? Follow us on Pinterest and check out what else we're diggin' lately. Inviting myself to that dinner party right now. Hollie, isn't it lovely!? Every meal should be enjoyed on a beautiful tablescape like that.